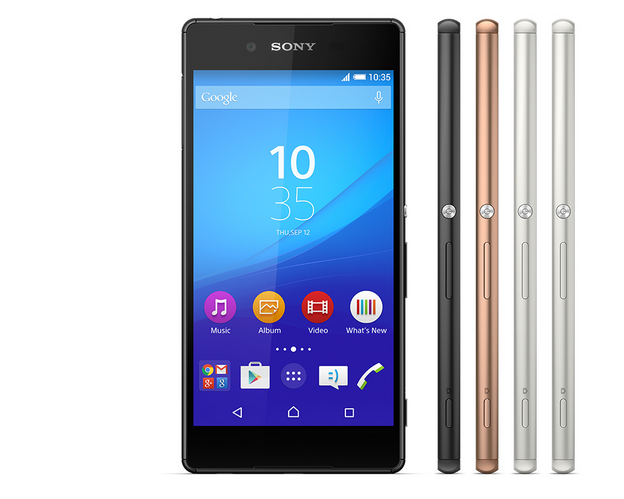 As expected Xpreria Z4 has been announced by Sony as Xperia Z3+. The smartphone is already listed on the Sony website, and will be launched globally next month in two variants (single and dual-SIM variants). The phone is priced at Rs. 55,990 and comes with Quick charger worth Rs. 3,490. Considering that the Sony Xperia Z4 has minor improvement as compared to its predecessor, the Xperia Z3, it makes sense for Sony to just call it the Xperia Z3+. To us, it feels like what Samsung does by launching a ‘NEO’ variant after a few months of launching it’s flagship device(Note 3- Note 3 Neo). Xperia Z3+ comes with minor upgrades like the new Qualcomm Snapdragon 810 processor and a 5.1 megapixel front camera. The company continues it’s USP by launching a IP67 certified(water resistant) handset and dust with IPX5/IPX8 rating. But a minor step which company has taken is that it has no plastic flaps to cover the USB port and the 3.5mm audio jack. Specifications are quiet similar to Xperia Z3, the Xperia Z3+ packs the same 5.2 inch Full HD (1920×1080) Triluminos Display powered by X-Reality engine. The handset is powered by a Qualcomm Snapdragon 810 octa-core processor coupled with Adreno 430 GPU and 3 GB RAM. In the Camera department, there is a 20.7-megapixel primary camera with Exmor RS sensor, and 4K video recording capabilities.However there is a 5.1-megapixel selfie camera with Exmor R sensor, and 25mm wide-angle lens, Sony has also included digital image stabilization. The flagship also features 32GB internal memory that can be expanded up to 128GB using a microSD card, Sony DSEE HX audio technology, FM Radio, and 2,930mAh battery with STAMINA mode. Connectivity options include LTE support, Wi-Fi, Bluetooth. The handset comes with Android Lollipop.